The Brain Balance Achievement Center of Palmdale helps children meet their social, behavioral, and academic goals through the Brain Balance Program. Because we are dedicated to helping children in Palmdale reach their goals, our center provides children with a personalized assessment when they are first enrolled in The Brain Balance Program. This assessment helps us to identify each child’s unique strengths and challenges as well as helps us to develop an individualized plan that will help them overcome their struggles. In creating each child’s individualized plan, we include academic activities, sensory-motor training, and dietary guidelines. We believe that these activities are valuable in developing an integrated, whole-child approach to Oppositional Defiant Disorder (ODD) and other behavioral challenges. Since these behaviors occur frequently and are uncommon among other children in the same age group, they can cause significant issues at school, at home, or around other children. Our drug-free, integrated approach to ODD support brings parents and their children together in order to achieve a common goal - improving a child’s processing and social ability. The Brain Balance Achievement Center of Palmdale works with your child to improve behaviors. 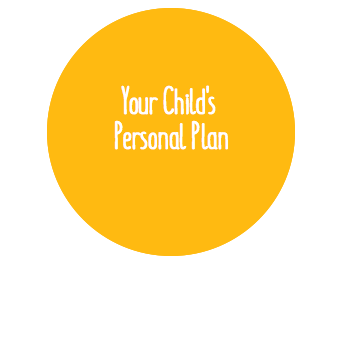 We create a personalized plan with your child in mind so that we can find the approach that works best for them. With the Brain Balance Program, most children have in-center sessions at least 3 times per week along with at-home activities; however, depending on your child’s assessment results, frequency and duration of both the in-center sessions and at-home activities may change. If your child is struggling with Oppositional Defiant Disorder, our center can help. Brain Balance Achievement Center of Palmdale has a plan for children with ODD. If your child refuses to comply with rules, loses their temper, feels vindictive, and/or blames others for their misbehaviors, we can help. Call 661-434-4800 to learn more about how The Brain Balance Program can help children with ODD or sign up online today!